“Our solar initiatives should already go beyond barriers. It’s time. There should be strong willpower from every single Filipino to go green whenever they can, wherever they can,” says Jade De Guzman, Vice President of Solaric Corp.
Do fossil fuels power your business? The industry buzz is about a possible shortage of power in the near future. Now is the time for businesses in the Philippines to use solar panels. In the Luzon grid, reports claim that “reserve energy” has reportedly dropped to “below minimum levels due to the unexpected shutdown and limited generation of some power plants.” This has led to high demand for electricity. The facts are clear: peak demand for power is nearing peak capacity. Numerous malls, buildings, hospitals, educational institutions, factories, warehouses, and industrial facilities are fast adopting the global trend and installing megawatts (MW) of rooftop solar. Many commercial and industrial projects are now underway, as firms begin to align themselves to target power production capacities from rooftop solar in the coming years. Since the turn of 2019, state weather bureau PAGASA warned the nation that Filipinos would experience less rainfall due to El Niño, but few heeded the warning. Now, provinces are declaring a state of calamity due to drought. The question is: are Filipinos ready for the effects and damages that will result? The long dry season will negatively impact the country – especially where Metro Manila is – because peak demand for power will hit in the peak of summer, which is May. On the other hand, hydroelectric power plants in Luzon are reducing capacity by 30% from April to June. A quick run on the figures shows that Luzon will have to import at least 350 MW of power from other grids or sources or power plants to supply the needs and address the power outages. This is exactly why the commercial and industrial sector has been turning to solar power for power supply. Sunlight is a free source of energy and solar power is renewable and sustainable. Self-generation of power is what 2019 is all about. The entire planet is adversely affected by climate change, which is why various countries are embracing renewable energy, especially solar. Almost 100% of Iceland’s energy comes from renewable sources. Sweden has boldly declared its goal of eliminating fossil fuels. Germany runs on 20% renewable energy. Costa Rica has a target of being absolutely carbon neutral by the year 2021. The Philippines has a longer dry season. Thus, we have more sunshine. What is our goal in the Philippines? 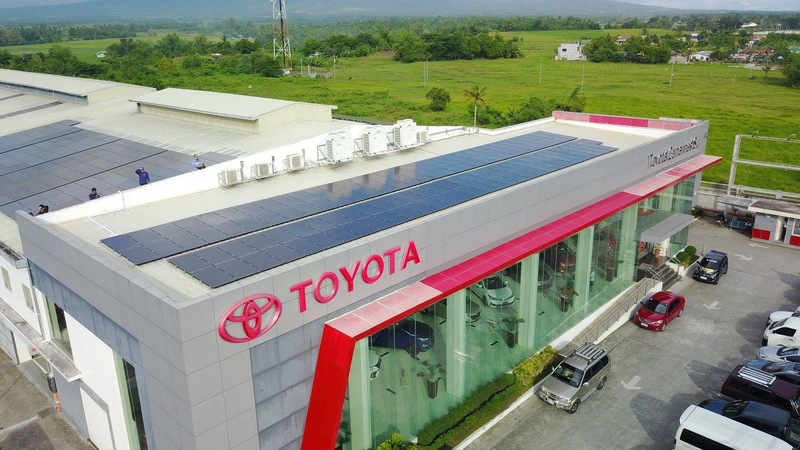 Installing a solar panel system for the business in the Philippines is a wise, significant, one-time investment that provides energy savings for 25 years. In essence, it means free power in the long term. Solaric has established its name across the renewable industry as a proven and reputable rooftop solar leader. Backed by decades of experience, Solaric has installed more than 50% of residential rooftop solar in the Philippines and has delivered significant cost reductions in electricity expenses, as well as milestone contributions to a cleaner, greener, and renewable future. Solaric is now becoming the recognized leader in corporate and industrial solar projects. The Solaric installers and engineers are well-known troubleshooting experts. They work hard to ensure that solar panel systems run efficiently and seamlessly, so that everyone with rooftop solar can enjoy the benefits of clean and renewable power. Welcome to the new generation of solar and turning on the sun. For the future.